Discover a beautiful Palace and the life of the 19th century! 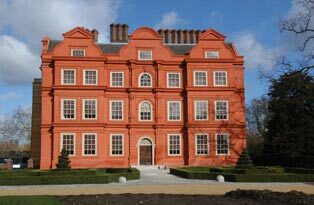 Located in the surroundings of the Royal Botanic Garden, Kew Palace is one of most beautiful places in the world. Founded in 1631 by Samuel Fortrey, a rich commercial of Flemish origin, Kew Palace is strongly distinguished from the other royal palaces. Indeed, its red bricks, its gabled main front and its some 50 windows confer to this four-storey brick house an atypical pace of Dutch inspiration. Only one century later the “Dutch House”, as the Palace is sometimes called, became Royal when King George II decided to rent it for his wife, Queen Caroline. This intimate Royal Palace is famous because between 1800 and 1818, it became the residence of King George III and Queen Charlotte. 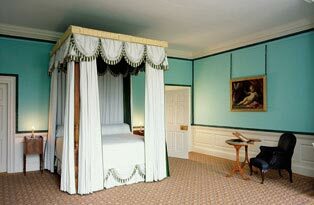 Explore the historic outline of the family life of George III, in one of the most intimate Royal Palaces. Come up and close with King George, or at least the spitting image of him, when you see the wax sculpture of the famous King made personally by Madam Tussauds, herself! See the princesses’ lovely Doll’s House. A visit to Kew Palace is worth every penny!